This is such a fun diy project with a useful outcome. 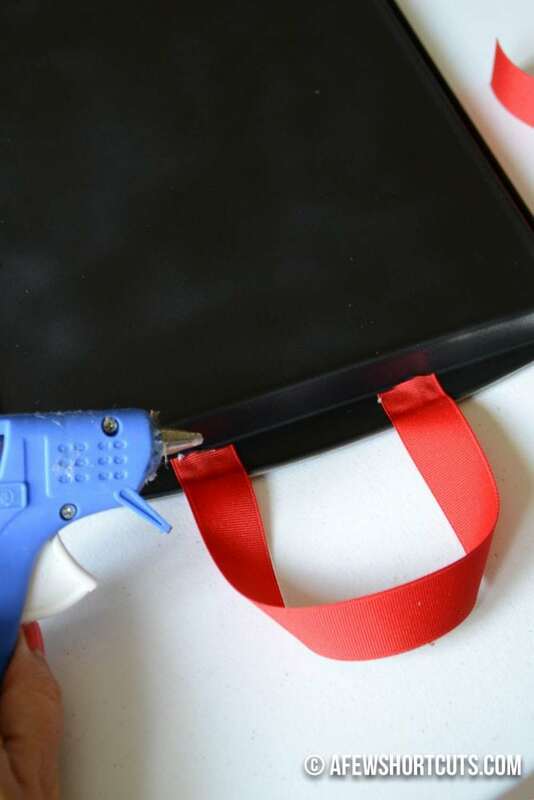 I made this DIY Magnetic Chalkboard Lap Desk for my kids for just a couple dollars. 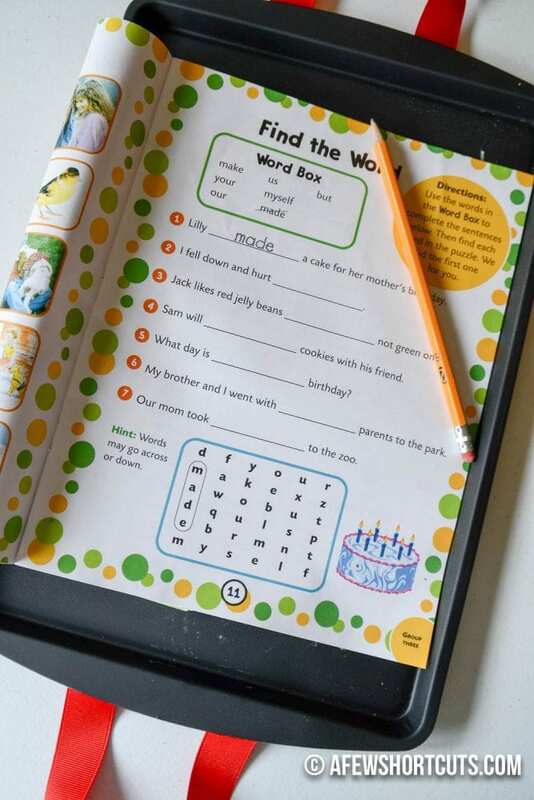 They are super useful for doing homework or coloring on the go! 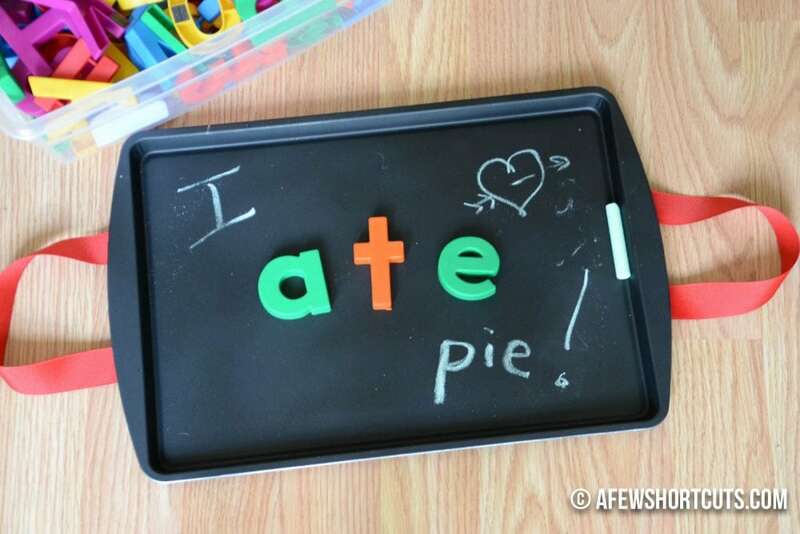 Even great for those darn ABC magnets that end up all over my fridge. 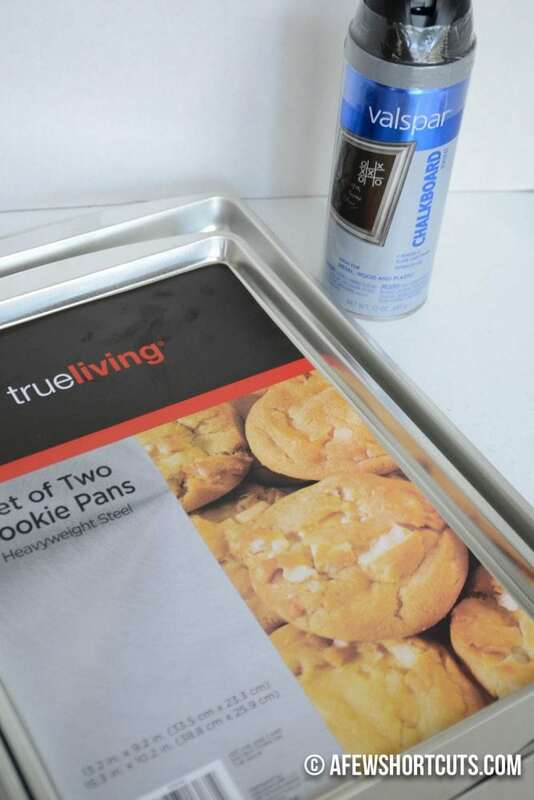 I took the pans outside and gave them a good once over with the chalkboard paint…both sides. Then let them dry really well. PS: Make sure you have steel pans. 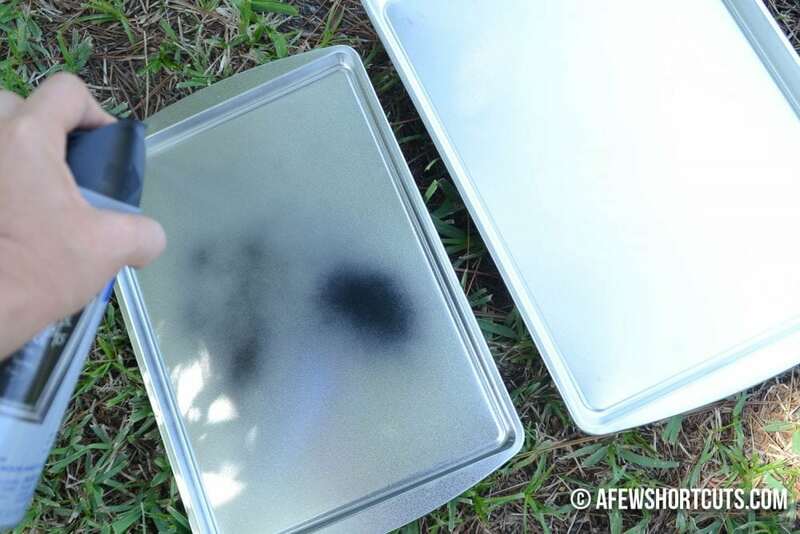 Aluminum pans may not be magnetic. When I brought them in I hot glued some ribbon to the side for handles. Apparently this was the best idea ever! At least according to my 7 year old. That is it. It was just that simple. 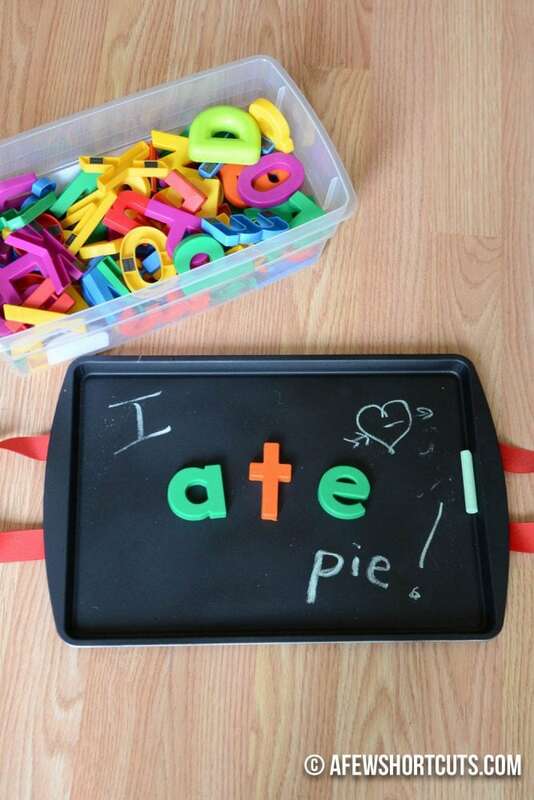 The kids now have a place to practice their spelling with chalk or the magnetic letters. They also provide a great surface for coloring or homework on the go. I love the edge on the pan because it prevents pencils and crayons from rolling all over the place.